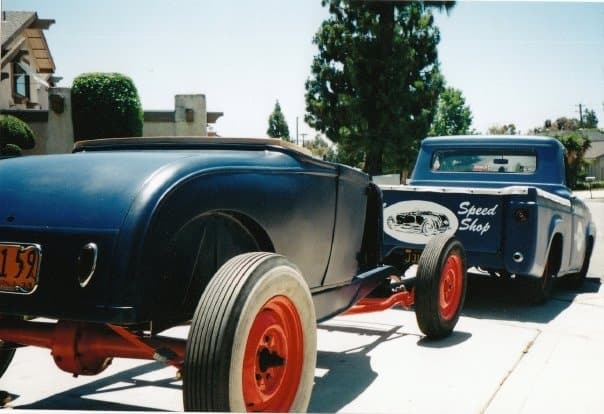 Ever since I was a teenager, I was intrigued with the American Hot Rod, I loved the Country, the Lifestyle and the possibilities you could achieve with hard work and, determination. 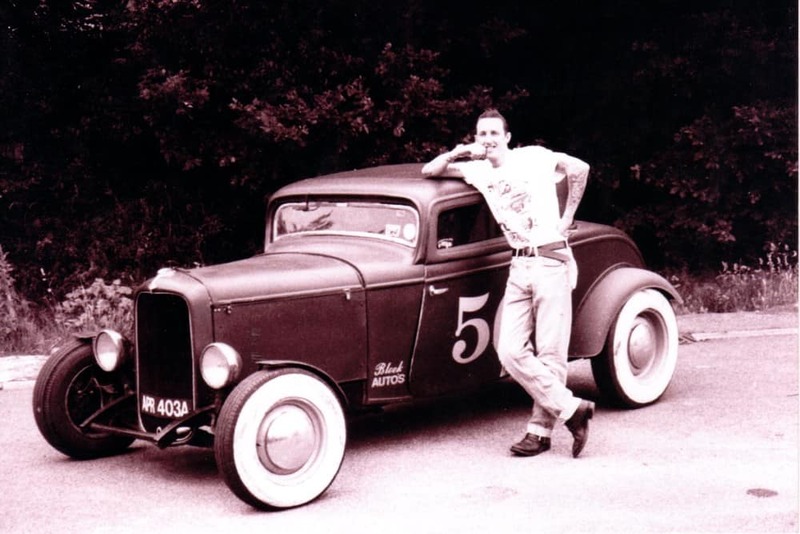 Back in the UK I even had a Hot Rod, a 1932 Three Window Coupe, chopped and channeled, this Hot Rod was a Nostalgic style that reflected what I was into. 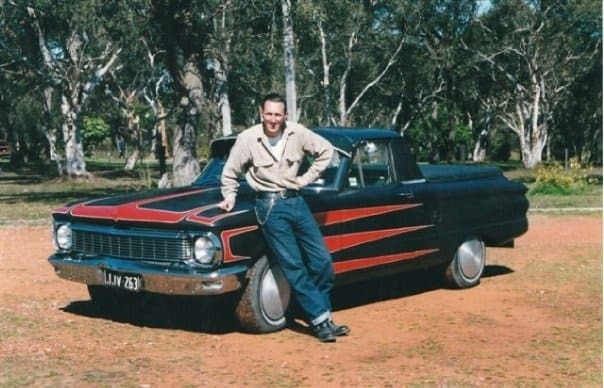 Then in 1997 I left the shores of the British Isles, jumping on a Big Silver Bird to the other side of the world and landed in Australia, another Hot Rod Country that really loves mechanical machines and anything that moves on 2 and four wheels. 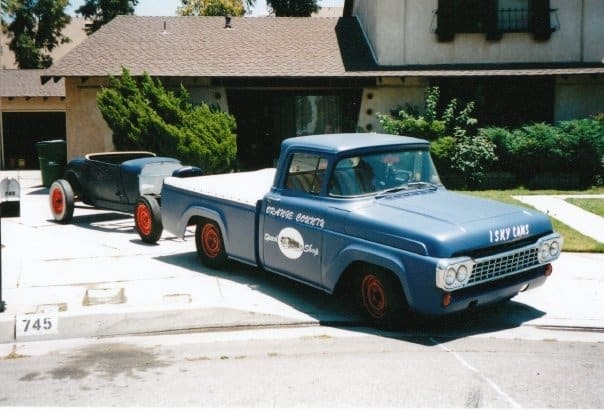 I built a 58 Work truck and had a 29 Roadster that I was finishing, but things in life happen and had to sell both but sure was a cool look. In Melbourne I worked for Norm Hardinge of Aussie desert Cooler, helping him with the manufacture of Radiators for many Hot Rod and Customs cars, this took me all over Victoria and NSW and never was there a sad time, they are big Hot Rodders and the only way of topping that was to move to the United States of America, the Land I dreamed of living in from Middle school. 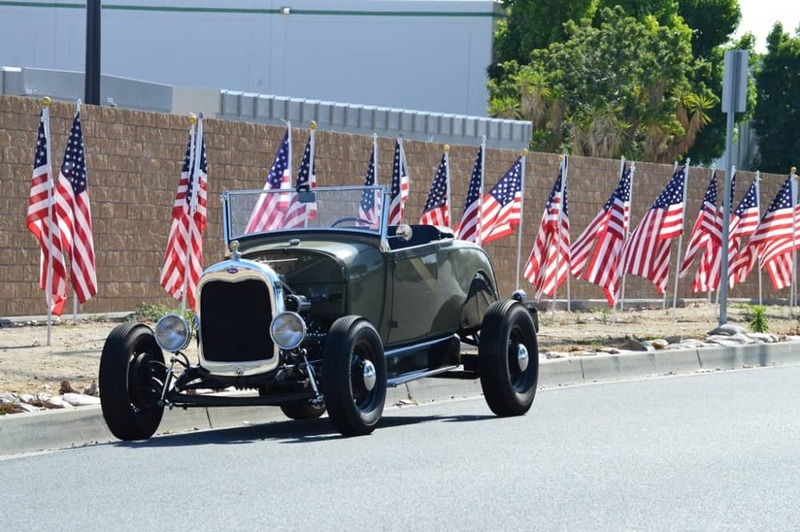 Feb 2000 I arrived in Southern California and 17 years later here I am and love it, I now own a period style 1928 Model A Roadster, complete with a 1939 Flathead V8, just a little 221ci Mill thats fun for me and hope to add rare speed equipment later on. 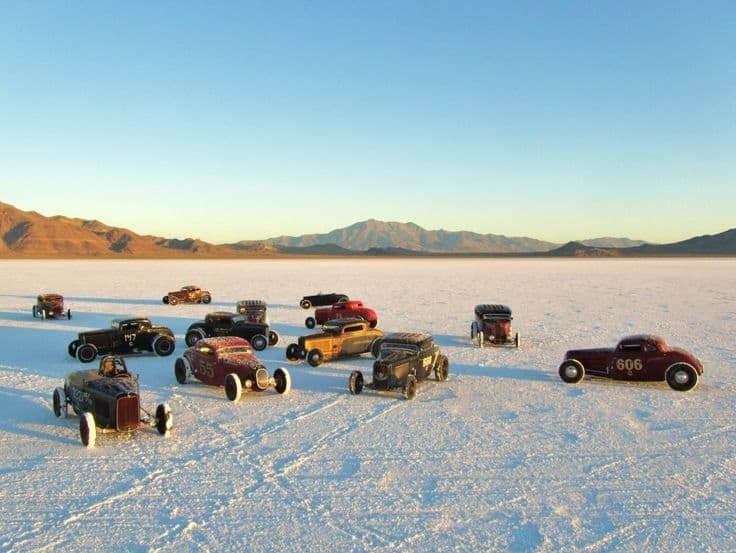 Well, in 2000 I was lucky enough to head to Muroc Dry lakes with a bunch of Hot Rodding Buddies and was fortunate enough to drive Drew Pietsch’s ’28-’29 Dodge Roadster around this famous dry lake, where even the Space shuttle would land if it was too windy in Florida. 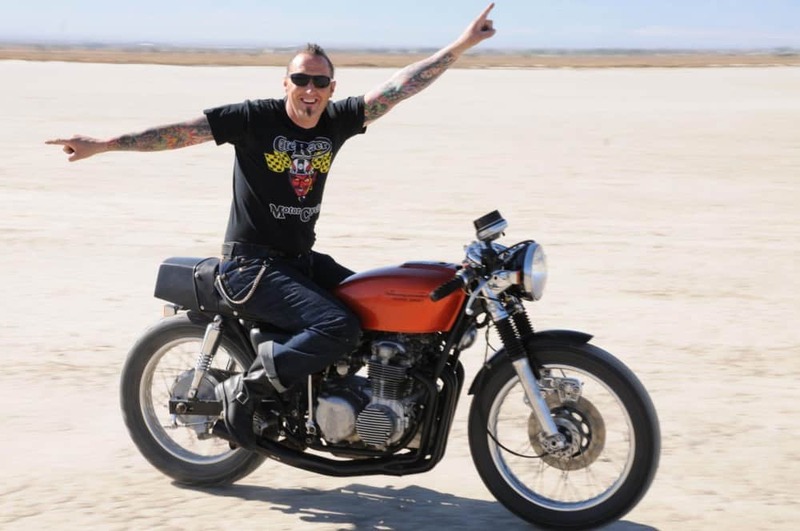 So, coming up in August is Speed Week at Bonneville Salt Flats, a place that I have only dreamed about going to and watching all sorts of Hot Rods and Motorcycles giving their all to try and acquire a record of speed over a timed area. And as it will be my 55th Birthday, My Girlfriend Jennifer Sun is taking us out there to experience the life, racing on the salt. Obviously I am spectating but who knows, the bug may catch me and I will have a go on a bike or car if I can get enough sponsors, always a cool thing to try. So, I am so looking forward to that and if ANY of you are attending and see a Sun Burnt Limey walking around with a Gorgeous Hawaiian Girlfriend, then that’s will be me, come and say hello. 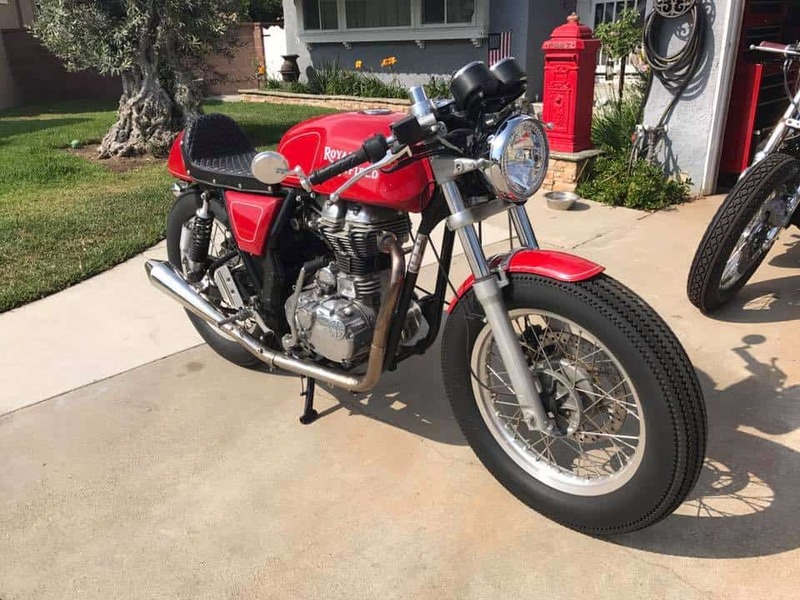 I will Also be at El Mirage next weekend and riding my Red Royal Enfield about ,if ya fancy a little blap on it let me know, so if ya around, just let me know as I will be there early in the morning on Sunday, until the evening about 5pm and will be heading home. it is a superb place to spectate and watch the racing, as well as being able to get close to the start line and watch them go, I love it, some speeds in excess of 200 MPH too. 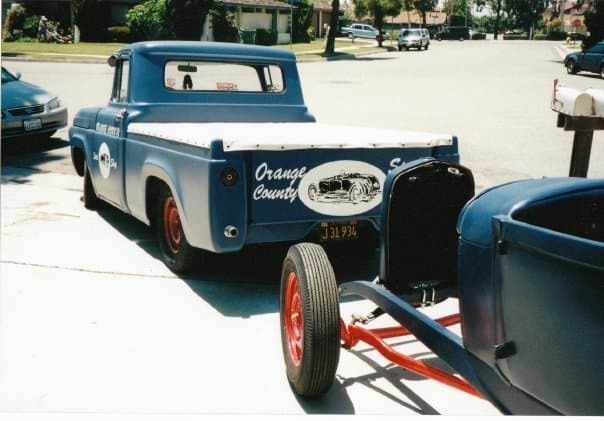 Drop me a text on 714-598-8392 if ya gonna be up there, I shall have an easy up and generator and a couple of chairs as I like to park half track and watch the bikes and Hot Rods run, then jump on the Motorcycle and go to other parts of the track. So i can see the Start and the finish and see them flat out. Here is a little bit of History for you, but I am sure that you are familiar with it. I hope you enjoy this little Blog I have created today. – This was filmed in September, 1932 at the Bonneville Salt Flats. Ab Jenkins is testing the new, 1932 Pierce Arrow 462 cubic inch V-12 in a 24-hour endurance run. 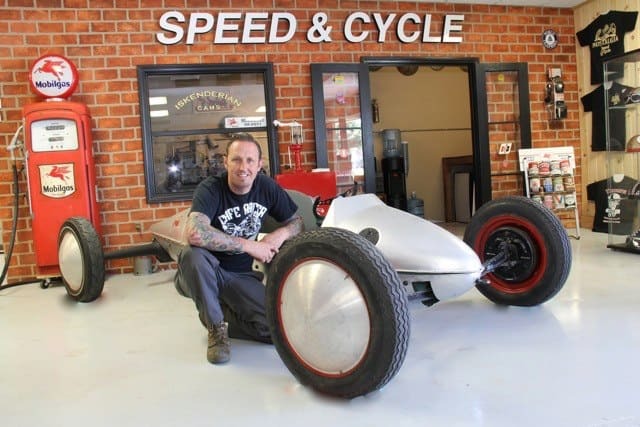 His average speed was 112.91 mph. 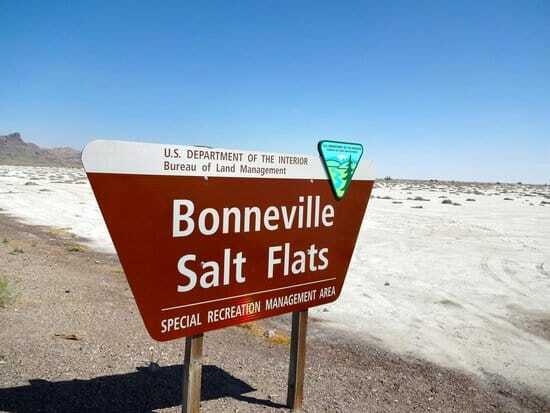 For years the Bonneville Salt Flats was the home to land speed record attempts but these were for elite drivers like Sir Malcolm Campbell. 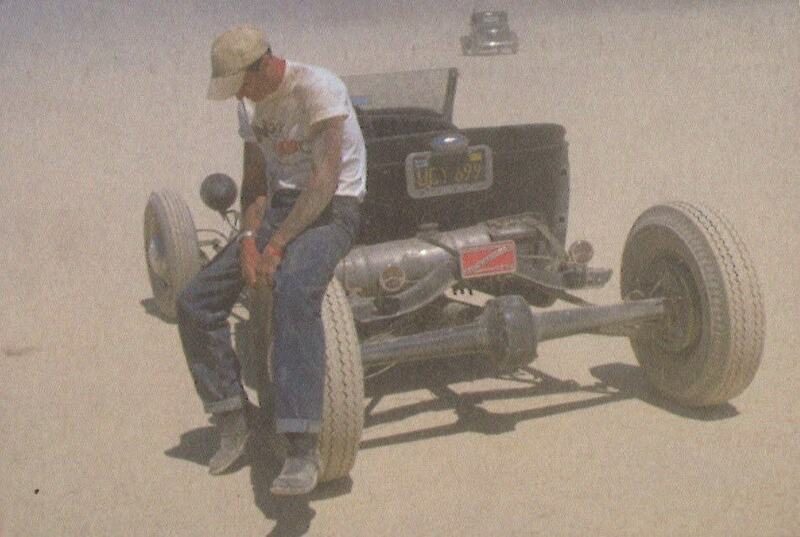 After World War Two, Hot Rodders wanted to test their metal on the salt but officials balked at allowing these people they saw as Juvenile Delinquents defile their Salt Flats. Silent 8mm but great footage none the less. This entry was posted in Blog and tagged 1927, 1928, 1929, 1930, 1931, 1932, 1933, 1934, 21 stud, 24 stud, 3 window, 5 window, 59AB, 8BA, 8CM, 97's, Allard, Ardun, belly tank, Bonneville salt flats, coupe, DLRA, dry lake, Edelbrock, Evans, flathead v8, ford, Frenzel, Harmon & collins, McCullough, Mercury, model A, model B, Modified, motorcycle, nhra, roadster, scta, speed equipment, Stoker, Stromburg, Thickston, utah, vhra, Waggot.